We have proudly served over 1000 clients from around the world. Amongst our clients are businesses of all sizes, from Fortune 500 companies to small businesses. Over The Top SEO is a leader in SEO online marketing and utilizes the biggest advertising platforms, including Google Bing and Facebook. Over The Top SEO LTD also known as O.T.T is an international Full Digital Marketing Company that specializes in Search Engine Optimization (SEO),Online Reputation Management (ORM), Lead Generation, Unique & Advanced Marketing Techniques and far beyond the normal activities of an SEO company. Our knowledgeable staff and tools can help increase the rate of relevant organic traffic to your website and overall improving your ROI. Looking for ways to increase organic traffic to your store's site? 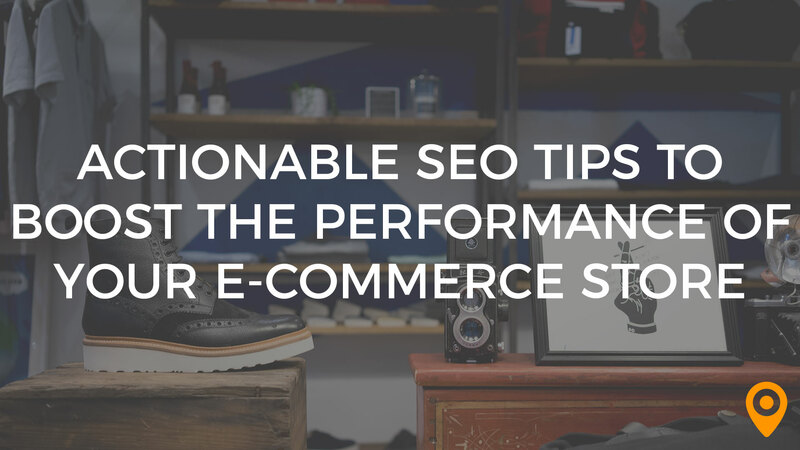 Here are 13 ways to help your e-commerce site improve its search rankings. they increased our calls by double in a couple of months only. nothing. there is simply nothing bad for me to say. the overall experience was very soothing, it all went very smoothly once we signed up and from then on it was really good, still is. so thanks. The quality of their work is impressive and their fees are very reasonable. Couldn't be happier with my website! Nothing. The end product was top notch. I'm so glad to have such a professional looking site now. I can't say enough good things about working with OTT and their team. From the beginning they had a level of communication, attention to detail, and professionalism that was a breath of fresh air after having bad experiences with other firms in the past. Our product is a new technology that most consumers aren't familiar with, so we had some challenges trying to create user-friendly content and easily digestible marketing creative. The OTT staff really stepped up and collaborated with us to create some great design and marketing strategies that ended up being game-changers for us. All in all, a stellar experience and highly recommended! What did you like best? The team was always available when we had questions, and their rates are extremely reasonable. When our small business's numbers started dropping in searches, website visits, and customer calls, we couldn't figure out what the problem was or how to fix it. Luckily, we found this company to help us with our SEO. They went above and beyond for us, helping us solve more than one complicated problem and not only getting our numbers back but moving us decisively beyond where we'd originally been. Within days of implementing some of their suggestions, site visits and customer calls increased; within a few weeks, we saw changes to significant data in both Google Analytics and Webmaster. I couldn't recommend them more highly. I can't wait for another set of brainstorming ideas with you guys for my web design!! The design is truly what i expected it to be. Quite an excellent job i would say because I was able to get more calls and email inquiry soon as it went online. Thank you so much for this! I don't know that I could have re-vamped my website with anyone else. My desire would be to make a website and never have to do it again. I have total faith in OTT's expertise and artistic sense. And everyone gives me outrageously good feedback about the new design. It's pretty unique for my industry. That's how I like to think about my business. The new website expresses that intention. We are launching it this week. I highly recommend them to everybody who needs a web design as well as creative marketing plan for their products or their services. Surely, you'll be as happy as me. Thanks Guys! Great work done. I would highly recommend them for all your digital needs. They set up the foundation and helped my company grow when I was too overwhelmed to handle things myself. They offer so much here I am coming back for a few of their other services. Thank you all so much, this is going to do wonders for my business! I've worked with them on a several projects over the past 1-2 years...primarily SEO and web design. Their process is straightforward, thorough, and specific to me, consultative. I didn't exactly know what I wanted, but they helped me think about goals and metrics in a way I hadn't. Aside from that, they also hit every deadline and are readily available should a change or something come up. I'm happy to give a more personal reference, if needed. Excellent provider of online marketing and website development. They are a worthwhile investment to take your company to the next level. The team is highly professional, creative, high tech, with knowledge of the latest online marketing trends. They created a website that exceed my expectations. OTT took my vision with its many intricacies and created a clearly presented, artful site. They took the time to show me how to use Wordpress so that I can update my own site in the future. I really appreciated the team’s patience, perseverance and overall knowledge. They have built 3 websites for me and have had about 6 or 7 updates or revisions and done a great work. They were able to help bring my vision to life, are professionals and listened to what I needed. Over The Top SEO completed two projects for me prior to the given deadline: a blog using wordpress and converted a designed photoshop website into html. The team was extremely responsive with any requests or changes I needed to have done. I would feel very confident using their services again. They designed a web site with a look and feel that matched the branding of my product, and added some pizzazz too. Overall, OTT is a great choice for web design, offering excellent service and an awesome product! Very responsive to all my requested modifications to the design and content. They use the WordPress CMS to house your site, so you'll be able to make changes yourself if you want to. They even teach you how to use the CMS. Very happy with the results and with their quick turnaround. They had great advice on where content should live and how to get the best ranking and visibility for your site. Nothing. They absolutely did a great work and we will definitely use their services again. When it came to developing my new cafe and the online marketing tools to go along, I don't regret for one moment in choosing Over The Top SEO as my consultant and web designer. Their expertise of everything web was not only reassuring but refreshing. They exude an air of genuine care about your vision and the direction of your business. Since we built my website in WordPress, I also received training on how I can manage updates on my own so I could save money and time, which are huge when starting a new business. Thank you! It was an absolute pleasure working with them. I already have in mind two stages of expansion I want to do on my site. None. I've referred them to two other friends, and I'd started talking to them about launching a digital marketing campaign to show off this work to more people. I approached “Over The Top Seo” when I wanted my company's website built. After just a few minutes talking with them I knew I wanted their input on my marketing plan as well. I bought a package including complete site building paired with marking consulting. We talked about what my business does, what we want to do, who our customer avatars are, and what my ultimate package would be. We then wire-framed out what the site would look like and how it would accomplish those goals. Throughout the whole process the OTT SEO folks were insightful, creative, and personally invested in my success. We are happy working with OTT. They are consummate professionals and are a pleasure to work with. We visited a number of companies before selecting OTT SEO for their experience in branding and internet marketing. They brought our vision to life and helped to clarify all the services we offer. They were responsible for our web design and marketing campaigns. They also increased our web traffic through their outstanding e-marketing services and gave us the competitive edge we needed. They took the time and effort to thoroughly get to know me, my business and my needs. Truly above and beyond my expectations. None. I continue to rely on their expertise for many of my marketing needs and will do so as long as I am a business owner. As a leading Tour Operator, we wanted to design and develop a new website that could showcase our international and domestic trips while enticing a sophisticated audience with destination information. The website had to be reliable and user-friendly, yet sophisticated and easily updated through a robust content management system. Working closely with this company, we were able to accomplish our goals and in a timely manner. We are very happy with the website and have received some great comments about it. We plan to work with them again for our future projects and online marketing. They are very professionals and did a wonderful SEO job for our business. None. It was a great experience working with them. Phenomenal support for several months from this company. How could anyone not be satisfied with in depth, statistical reports every month, from an SEO company. I've dealt with a lot of frauds so it is very relieving to have come across these guys. They have increased my ranking on Google and Bing to the first page which has increased our revenue. I'm very happy to recommend them. SO grateful for all the hardwork the team did on maximizing my SEO. Nothing. Working with them was an amazing and easy experience. I would highly recommend hiring them to help enhance your brand's SEO and online presence. We searched for months to find an SEO company that knew what they were doing while at the same time not charging an arm and a leg. The team at Over The Top SEO were able to bring us to page one from page 4 on Google. Definitely helping our business and getting more inquiries from Google. Very professional and always gets back to us when we have any questions! I like their work no problem at all. They have contributed a lot into my business SEO. This company is really one of a kind . I say that because they are a SEO company like I've never seen before, in a good way! There communication, understanding, and work that they do is incomparable. I have had many questions for them and they always answer back and explain to me in terms that I understand. That is really important to me and I can't thank them enough. They were extremely helpful and thorough in their analysis. I appreciated their hard work and open communication also their weekly updates. So far everything has worked like a charm; from the detailed reports to the cost of the services this company provides. I been looking for a right marketing company for quite some time for my car dealership company. I found Over The Top SEO on google and since then I am really happy that I started to market my stores. These guys go above and beyond to bring you customers through the doors. Thank you guys ! The team at Over The Top SEO were very professional and knowledgeable from the start of the project to the very end. Their communication when planning the project was excellent and everything was laid out clear so we knew what work was going to be carried out and how we were going to get to our end goal. We're already seeing great results from the SEO and have always been very pleased with the increase in revenue. Honestly, there wasn't anything I can complain about. Very good. I'm a very happy client. The guys at Over The Top SEO are incredibly easy to work with, they made the whole process easy to understand, and really listened to our requests. Nothing. For high quality and low stress, go with Over The Top SEO. As first time business owners, we were worried about making good first impressions to our clients. Also, we especially needed a website that would help us stick out in the sea of generic competitors. With Over the top SEO, we believe that we now have a site that we can feel immensely proud of and can show to our clients knowing that the site matches our desired level of quality. The team at OTT were a pleasure to work with. Very professional, and beautiful design work. All the work done was of high quality and top notch! I have had a great experience working with them. They have been very cost effective and campaigns have worked well for us. I did Not find anything i did Not like about their work. Over All The Top Seo has been great in helping me position my ad/consulting business for growth. Through regular strategic planning sessions and reviews, we were able to clearly establish and track where I was, relative to my marketing and operational priorities. I was also given some useful lessons and readings in the areas of marketing where my background was insufficient. It was critical to have a strategic, experienced sounding board helping me evaluate new areas of opportunity and risks to the business. I'd recommend them for anyone running a business, who is willing/able to work toward establishing a more strategic and disciplined marketing approach to attracting and retaining customers. Over the top SEO helped my startup generate more sales than I could have hoped for in less than a year. They are flexible, easy to work with and above all well experienced and professional. The most important decision as a business owner I had to make is picking the right marketing company and Over the top SEO was the right choice for us. Nothing that I can think of at the moment to comment upon. Great service and prompt results. I like their aggressiveness and passion towards work. They made the On-Page to my website in a fast and efficient way. I have been able to see almost immediately the changes in my graphics, speed and user engagement. Over the Top treatment was very attentive and professional, managing to capture everything we needed. I really can not think of something. Everything was perfect. Over The Top SEO improved and fixed many SEO, Design and Engagement problems on my website. They actually achieved better rankings than I have ever had, sales have increased significantly. Thank you! They did SEO and marketing for our business and delivered. The services were performed within timelines. Nothing really. If you want knowledgeable professionals then they are the experts to go to. It was nice to work with specialists and experts that understand Search Engine Optimization and how to make it work for our business. We tried to work on our rankings and SEO for ourselves but to no avail. We're very content with our results and happy to recommend Over The Top SEO to all we know. Happy we took the chance and moved forward with them. They went above and beyond in their assistance. They were very good at helping us rank and rebuilt our website. Nothing. We really appreciate the work they did for our website design and search engine optimization. My website had lots of issues. My search engine optimization was horrible due to an outdated theme, lots of bad links that I didn't know how to eliminate and other issues that Over The Top SEO was able to solve for me. They used a modern theme, rebuilt my site from the ground up, gave it a modern look and worked their white hat magic to get my site moving in the right direction. They also told me what I could do to help the cause, which I dutifully did. Now I have nearly 30 keywords on the first page of Google, and as cliché as it sounds, I owe it all to Over The Top SEO. The fellas at Over The Top SEO were highly efficient in making our website. The styles, imagination, and development were top notch and beyond what we asked for. Great communication between us and them and when it came to small details of what I wanted precisely, they were simply it. I will clearly need and use this great company again in the near future. Extremely knowledgeable in SEO and in marketing in general. We've been working with OTT for over 9 months, their depth of knowledge about SEO is superb. They were always one step ahead of Google's changing on us all the time. Overall what mattered to us was finally running into an SEO firm who actually know what they are talking about and show results. We couldn't be happier with their responsiveness throughout the work and the effective execution of their seo and marketing strategy. We really liked their work and there were no real flaws. Over The Top SEO has been instrumental to our companies’ visibility and success. We’ve worked with their team for about a year now and their staff has been responsive and helpful in walking us through the process and showing us the formula for 1st page positioning. We are getting more business now than ever and it’s thanks to their help. We used them for SEO, Social Media, and AdWords and they improved our conversions exponentially. What I can say is that they are organized in their process and follows an easy to follow method that really works for our marketing. They have designed a great website for me and also helped in improving our visibility. None. They are experts in their craft. I have nothing to complain about. When I needed website design services for my new business, I searched all over to find a quality web designer. I'm so glad I found “Over the top Seo”, their website design team was recommended to me by a friend who had previously chosen them. They're also able to execute faster and at a higher level of quality than any other website designer company I've worked with. While I was really happy with the website they built for me, they also helped get me into the PPC world to help manage my Google Adwords campaigns. I had previously dabbled in PPC myself, but they fully analyzed my Google Adwords account and made improvements that really helped me get quality business leads without wasting money on useless traffic. Overall, they provide the kind of comprehensive web design services that every small or large business or medium business needs, from quality design to content and web marketing. Their impressive knowledge of online strategies has kept me coming back to them for every website project I've had since I met them. Truly the best in their field, no question about that. I took us years to find a industry leader to take us from where we were to where we are, Over The Top SEO did that for us. by far the best working experience we've had, results is everything. I went to OTT for a website that needed to be designed for a TEDx event and they did such a great job that I ended up going to them again when I needed a second website done. The team is very helpful, prompt, and understanding and the work they do is of high quality. We had an overall idea of what our website needed to look like and OTT took that idea and turned it into an in-depth design. After a bit of back and forth, we ended up with a design that we were excited about. After the design work, OTT was able to turn that idea into a reality with their great amazing coding team. Throughout the whole process, OTT was continuously communicated and checking in with me to make sure I was happy with the progress. They didn't mind getting feedback or going back and forth on changes to make sure we were happy with the product. Although I really don't have much experience with this firm's SEO capability, judging from how well they were able to execute the website development aspect, I'm sure it's exemplary. I highly recommend this place if you are looking for a website design firm, I promise you won't regret it. Top notch professionals and even supper better people. absolutely nothing for us to complain about, we had nothing but good experience with Over the top SEO. Just had to post a review after working along side OTT for such a long time! genuinely want to help and proofing themselves time after time again. The team at Over The Top SEO are unique, I am dominating my niche locally in the maps and in the search. Not the usual attitude I must say, Very blunt and grotesque in a way, but hey... All I care about is RESULTS! It's been a crazy experience for me because i've been penalized and the fellas at Over The Top SEO saved my business. nothing more needs to be said besides, THANK YOU! best is results, nothing else really matters... especially when its PPC. they did a great job. project went on for 3 months for my PPC products so overall I was really happy with the service so no complaints there. its been very easy to communicate with the over the top seo team from day 1. they did get the best results from 4 companies I tried already. Very straight forward, the fun part is that we take full part in the making and their way of teaching me is really a huge bonus. nothing that I don't like about them, I got to them after so many false promises that I am blessed to have found them. Great people to work with, its been 8 months now and I am very happy with my rankings! I was the one to locate Over the top SEO for my University and I am happy I did it. These guys are no joke, they know what they are doing from A to Z. no games, no time wasting. purely professional. They delivered exactly what they said they would -- first page rankings for ALL of our primary key phrases. The initial period of waiting can be a bit tiresome, however, the team explained what was going on in great detail throughout the entire experience. Over The Top SEO chose a great name, because their results really are over the top. I worked out an estimated ROI I'd get from working with them, and the results have FAR exceeded what I thought I'd be getting. First page results all over the place, ranking for wayyyyy more phrases than I was even expecting, and the traffic has turned into a game changing amount of new business for me and my company. Thank you guys sincerely! Great communication, excellent PR placements, and affordable pricing. That I didn't find them sooner! I've spent way too much money on other companies that simply didn't perform. After hiring a few SEO firms over the years, with little to no results, I decided to give one more crack at it. I learned about Over The Top SEO while researching the best link building companies on google, and found myself stumbling across their website. I was introduced to the founder, Guy Sheetrit, by one of his employees, and could immediately tell my experience would be different. Guy seems to have a knowledge of SEO that far surpasses that of 99% of the SEO firms I've dealt with in the past, and the results speak for itself. I plan on using his services in the months to come. Over the top is the most reliable agency I worked with. First they 24/7 communicate and very responsive. Guy exceeded expectations faster than I ever imagined. If you are looking for a professional who is very responsive and produces real results, then I would not hesitate to contact Over The Top. Everything was done to my exact specifications the first time. They do everything from beginning to end when it comes to web design, SEO, local listings, PPC, because and all other marketing need.| I really cannot say something nebecause they leverage my company. Over The SEO Ninjas has done outstanding things for our business growth and our online presence. Prior to working with Over The Top, we attempted to run our own PPC campaigns with very low results (wasting a lot of money). After bringing in Over The Top, who understands our needs and is very attentive, the phone is ringing off the hook. Thank you for helping us triple our profits! We give them the highest regard for their skill set and highly recommend them for any company's website building and online presence. Nothing. Everything about working with these guys went well. To leave a complaint here would be a total lie in the sense that I am racking my brain to even nitpick at a single thing I did not like. Still an A++++. Really Enjoyed my experience and will continue working with Over The Top SEO in the future. Much love. The quick response on questions and suggestions. These guys keep their promise, if they say they fix it, they will fix it. In working and contact very personal and professional. With the OTT guys we managed to take www.gereedschappelijk.nl to the next level. And we haven't stop working yet we still keep improving. They are always there. Man, they work every day! So even on sunday they respond, but then again that's what we like. And last but not least I want there knowledge, these guys are a great team. It sounds that I am very buyest, but hee, what these guys do works. On a daily basis you see your positions improve, traffic get better and your store grow. We are happy bumping into Over The Top SEO, even though we are a dutch company they managed to get Gereedschappelijk the ranking we were looking for. And still improving...! We are all about consistency and stability, its very simple, with Over the top SEO you get just that. Its not something that we dont like, no fancy reports or a unique CRM to manage the client, simple simple simple so i guess its good but not what we got used to. We were very surprised by the way Guy, Greg, Paul and the team at Over the top SEO works, its the first time someone opens our eyes to what is happening with our campaigns and involves us deeply into the process, which now I understand the importance of why they do it they way they do, we are with OTT for more than 9 months now and we are very happy with them, they are the only company that provided us with raw results constantly. Over the top SEO are one heck of deliverers, we saw and heard all the "major" / "big" companies already but NONE OF THEM have delivered us RESULTS like over the top did.!!! PERIOD! I know that sometimes it may sounds cheesy, but seriously this company is not a joke, they do not mess around or give you anything less than they promise you. This company is probably the best we have encountered as of yet, we have been suffering from poor "SEO" experts by 5 companies that are known out there and yet all fail to deliver and over promise the sky. With over the top we literally had 100% interaction in our campaign, we were an active part of the process and still are always in the loop. We finally saw results after several short months with a continuing growth in sales. We are so happy to have met Guy and his team of professionals, and we are not going anywhere. Over the Top SEO helped us raise over 3 million dollars in sales in 2016, our ROI had improved drastically after letting over the top team take over our marketing plan. We wouldn't be writing this review if we had anything less than perfect to say. We started working with Over The Top SEO after looking for serious SEO experts, we found them in the top positions for most of the competitive words we looked up and after a thrill investigation we decided to go with them, We can't disclose too much but I can say that it is a beautiful relationship and we are most grateful for the technical knowledge these guys have. Overall just 10/10. Quality service! Professionalism is above all with these fellas, from the first meeting and 2 years later we are very happy to have chosen them as our marketing company. nothing bad to say about over the top seo. We are a fairly big company in the auto parts industry and Over The Top SEO helped us grow A LOT in the past 2 years. we would gladly recommend them anytime, anywhere.